159 " × 109 "
what one English poet, I think, called intimations of eternity. has painted was still wet!" to the passage, were Moses and Elijah. 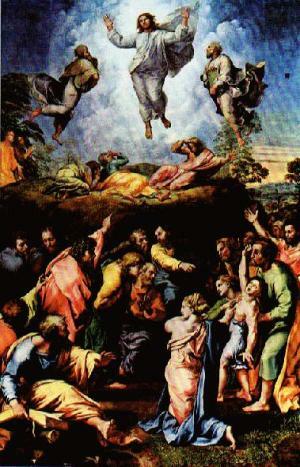 the transfiguration, the apostles could not perform a miracle and cure him. 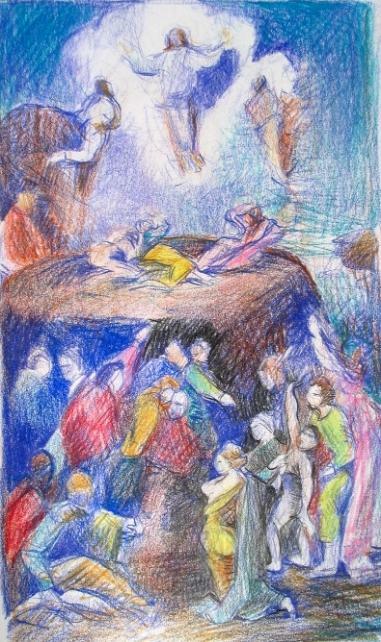 transfigured! What does this suggest about him? perhaps hear the greater, more heavenly event above! spin, perhaps in tribute to my solar mother and her way with words. those popes too, could not see? worms made Raphael Sanzio's eyes fodder, as my mom would have said. that we all carry within us. at the bottom of the work.